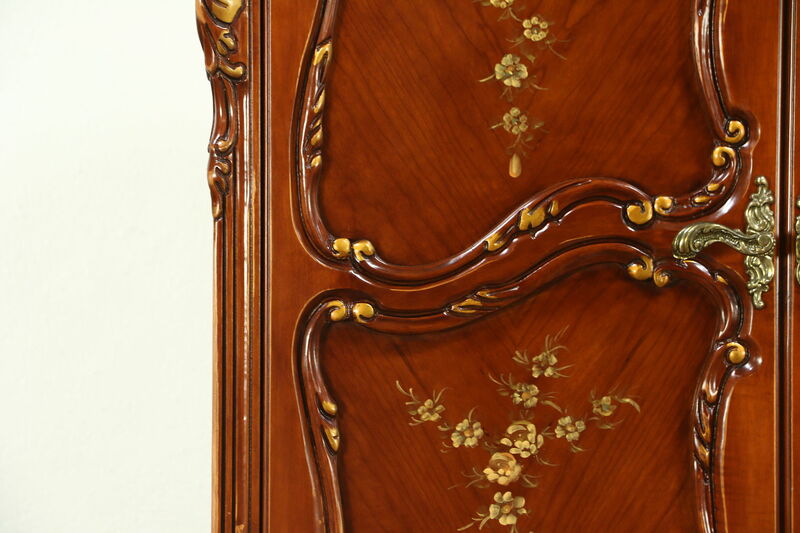 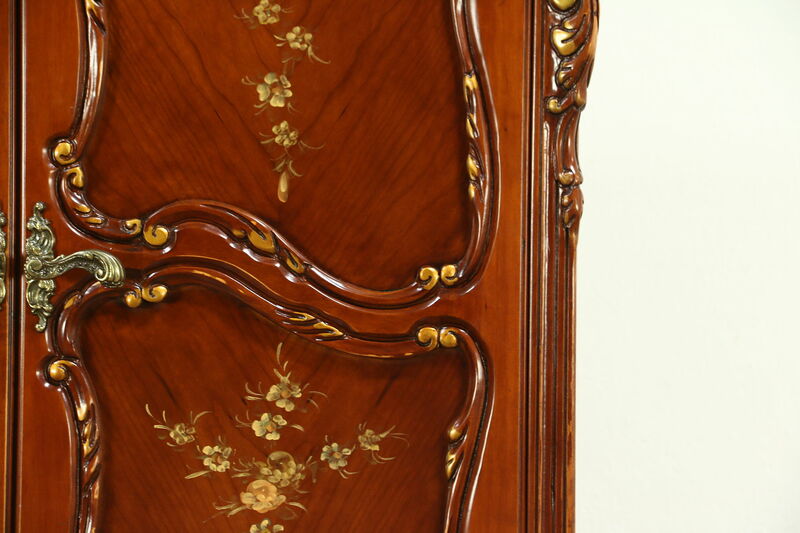 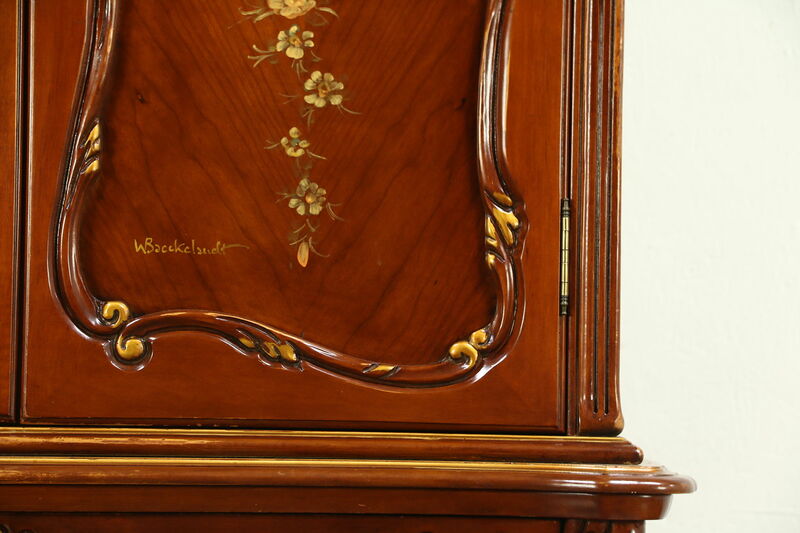 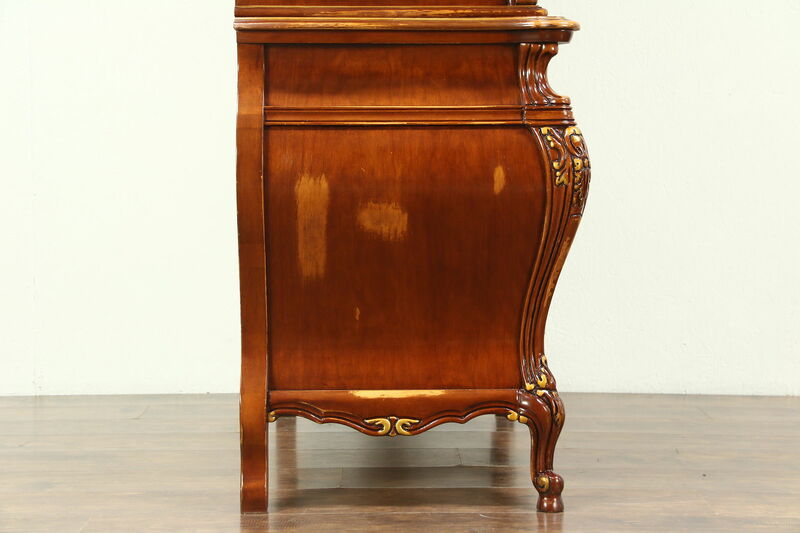 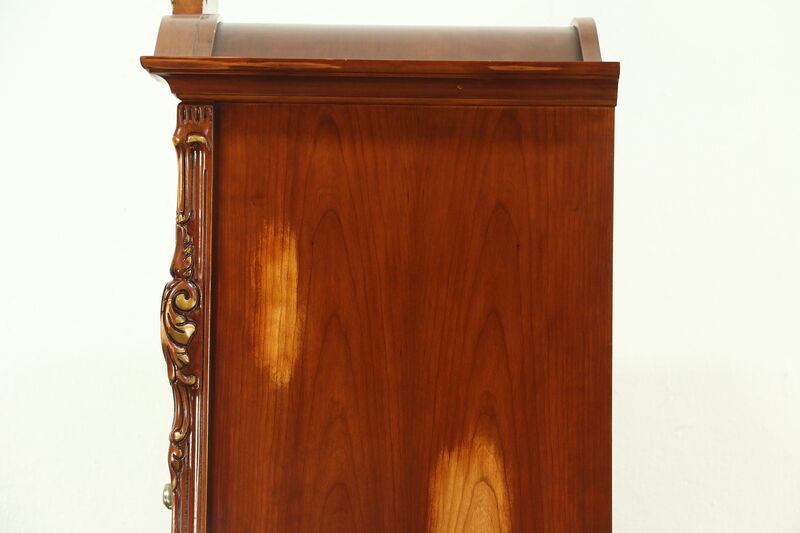 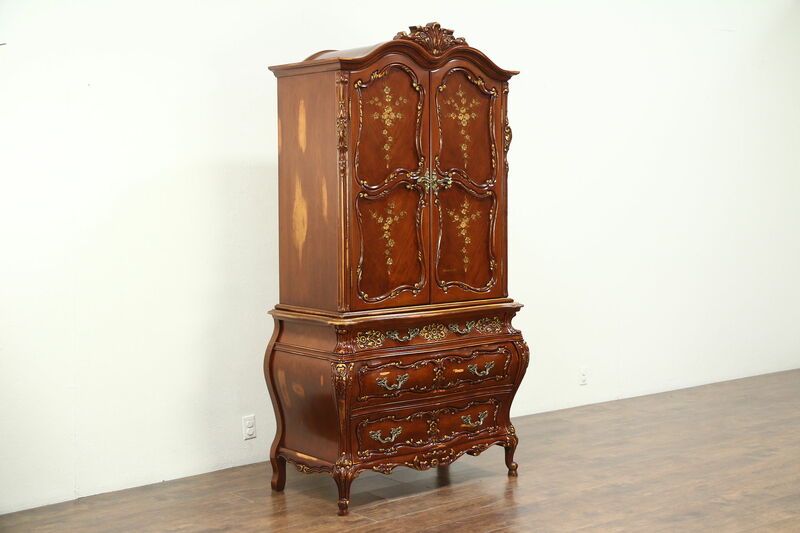 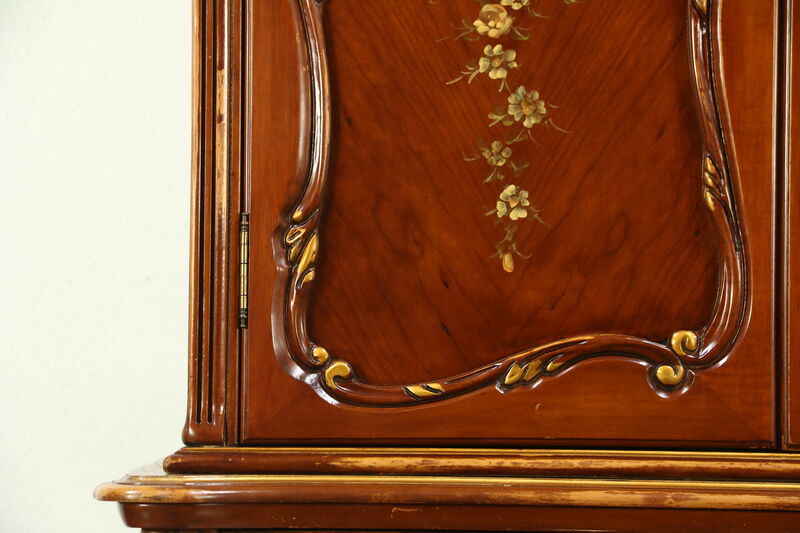 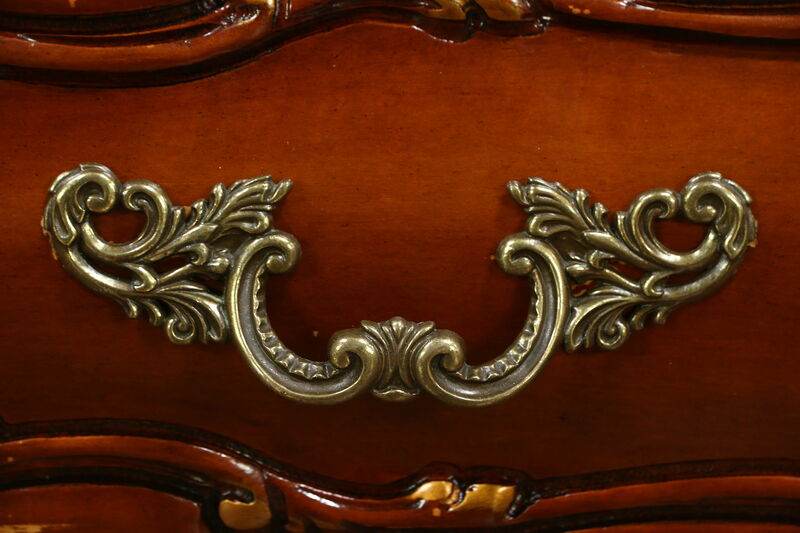 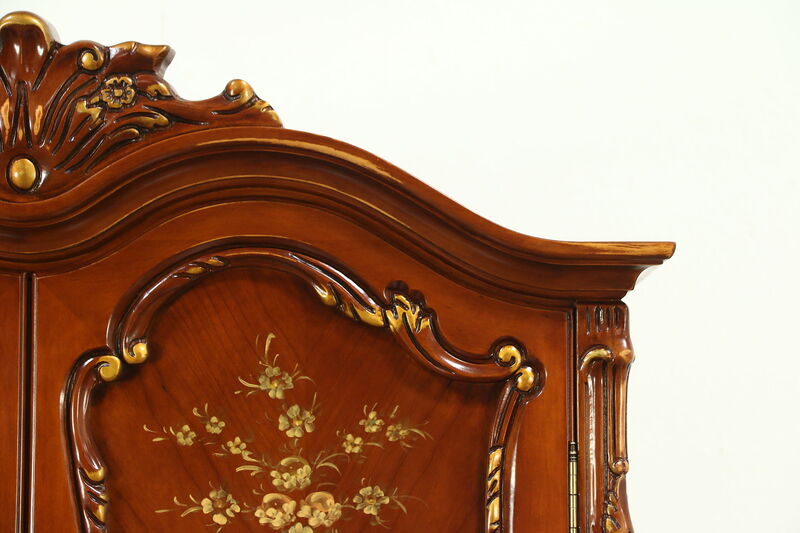 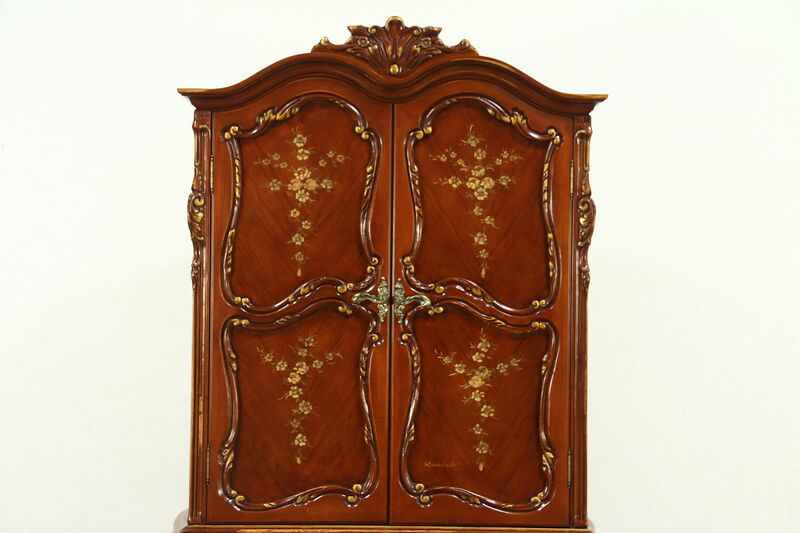 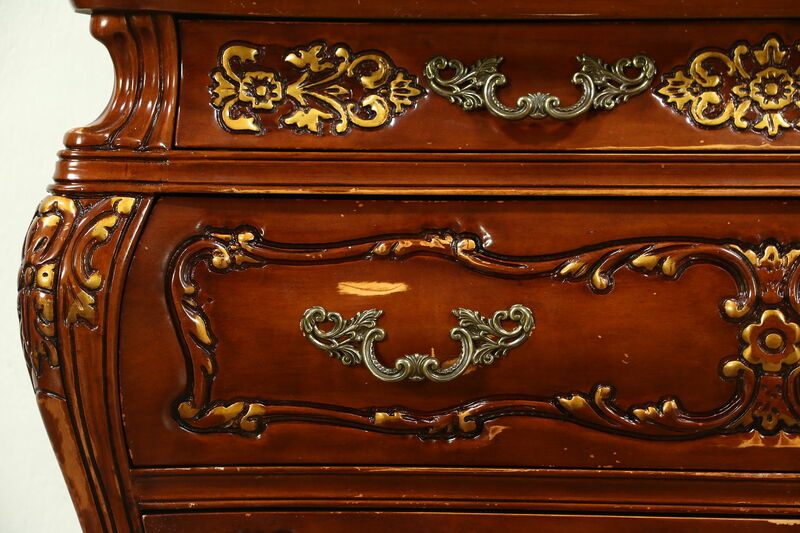 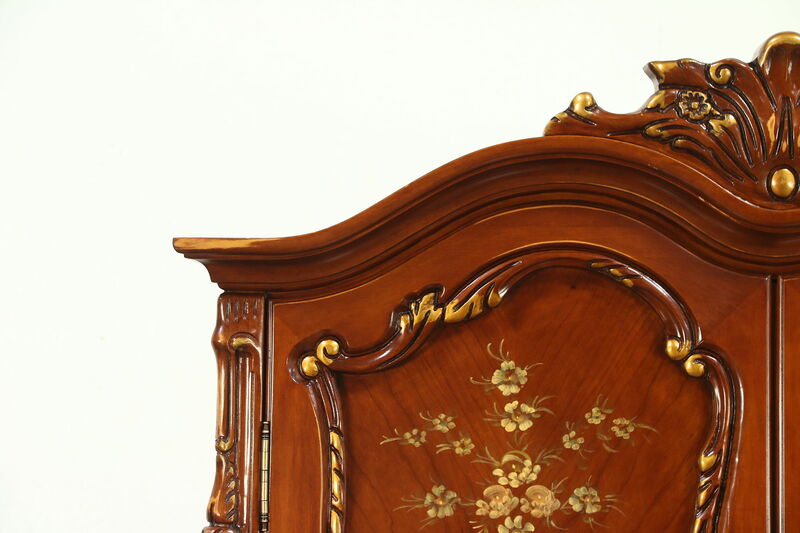 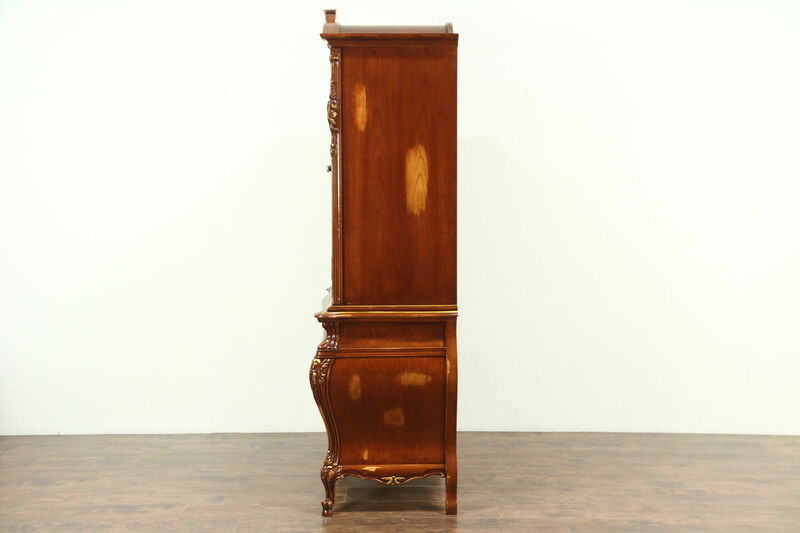 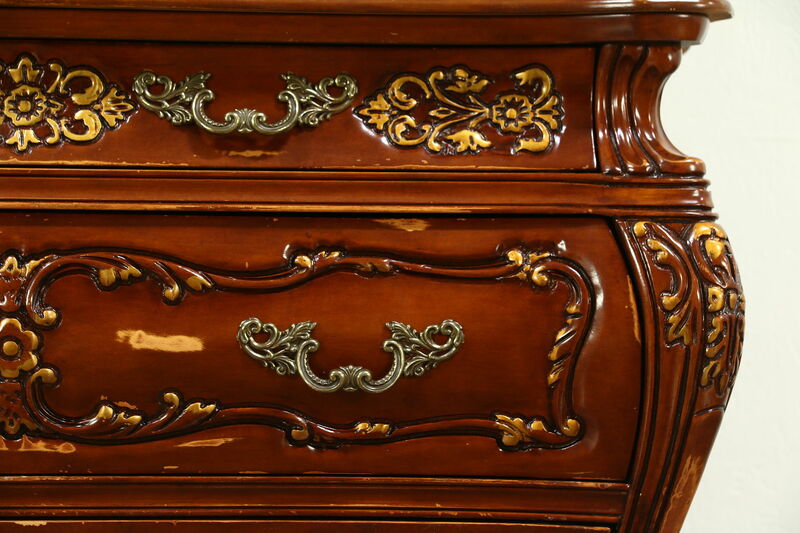 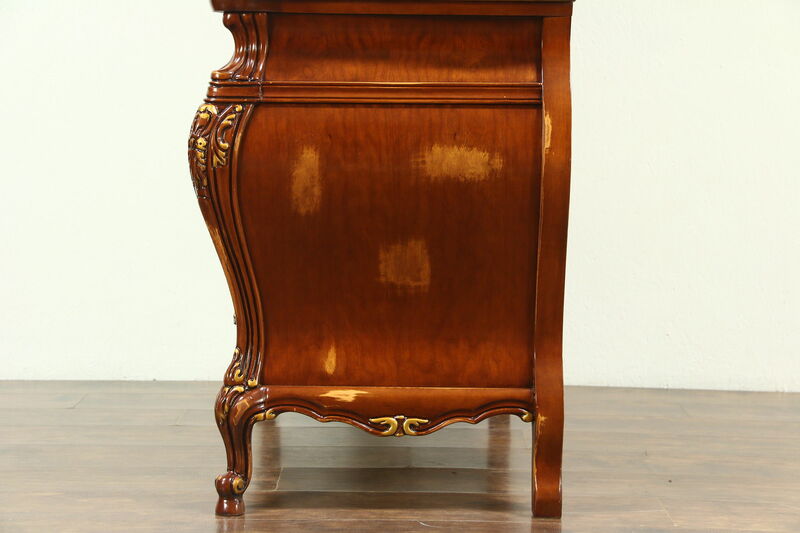 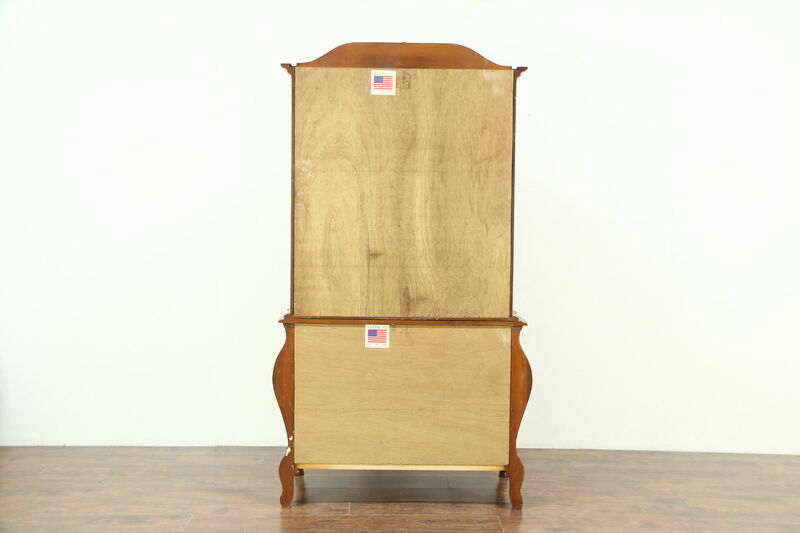 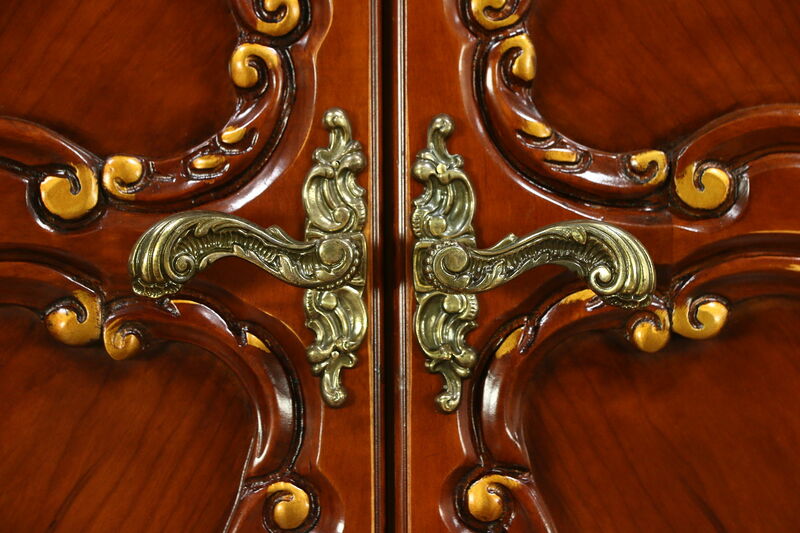 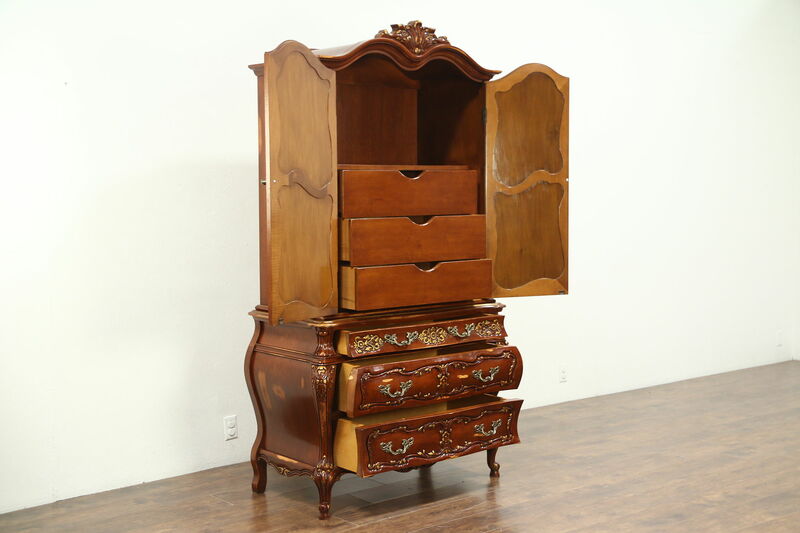 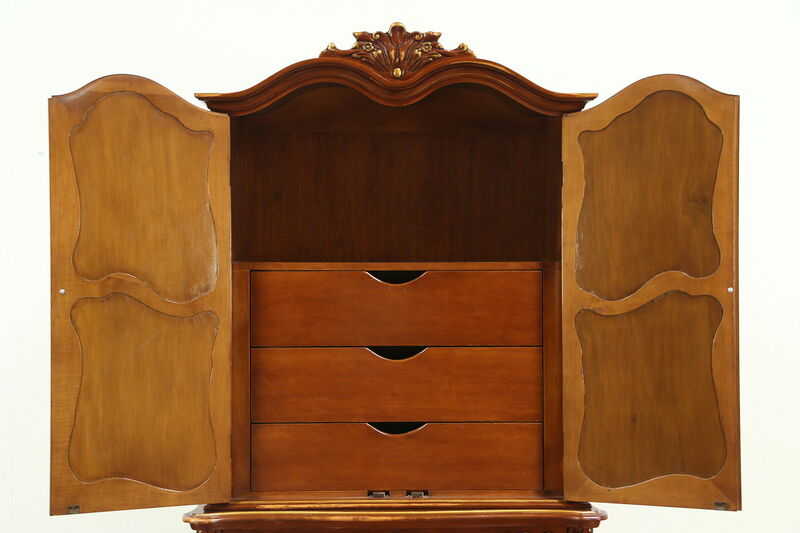 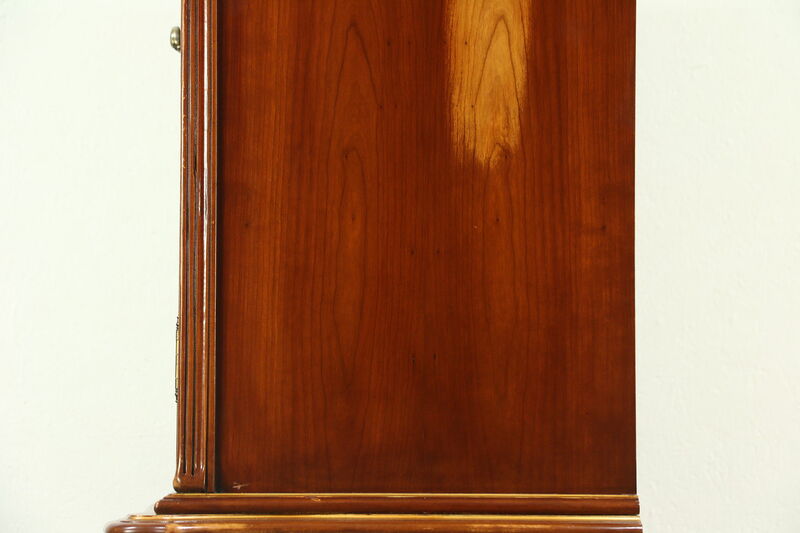 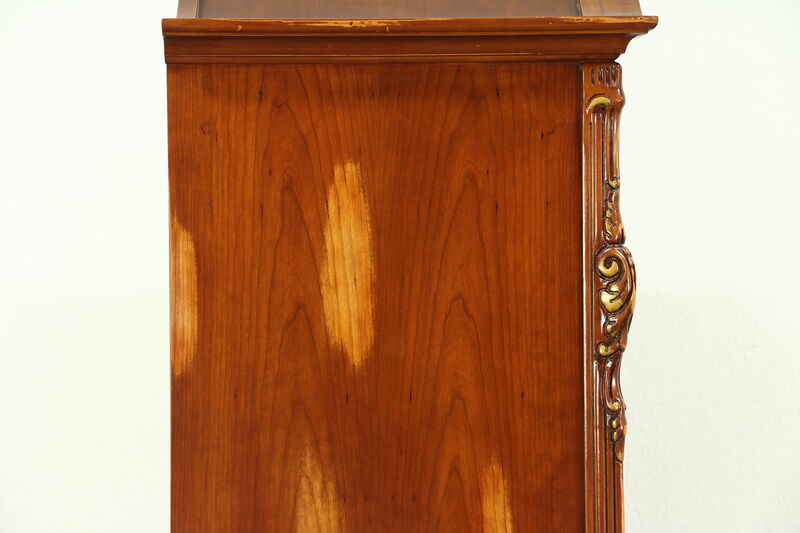 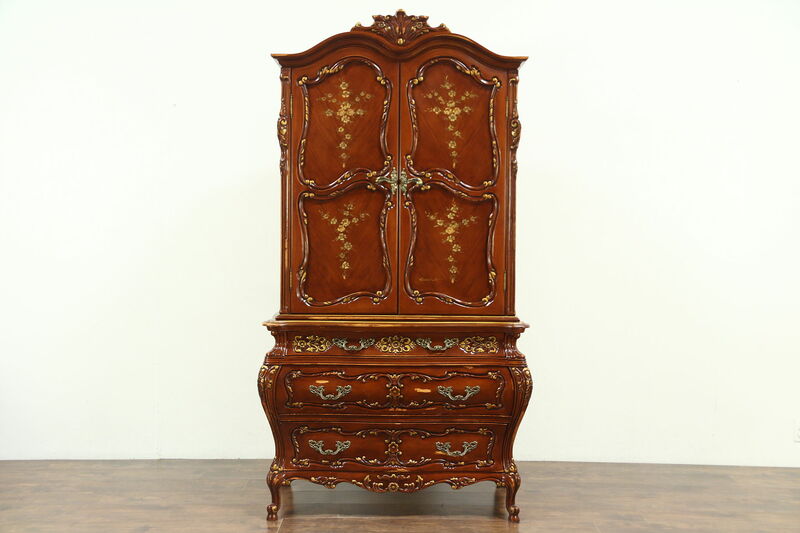 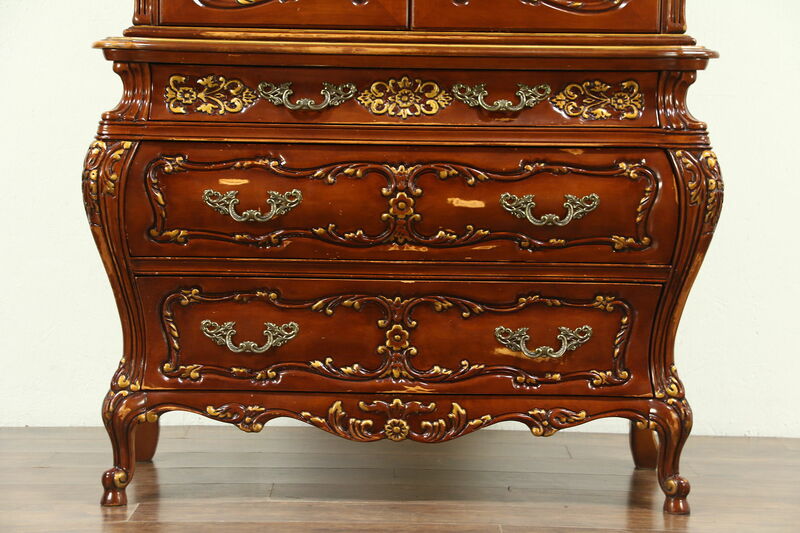 This grand Baroque style armoire, wardrobe or chifferobe is "bombe" or convex shaped. 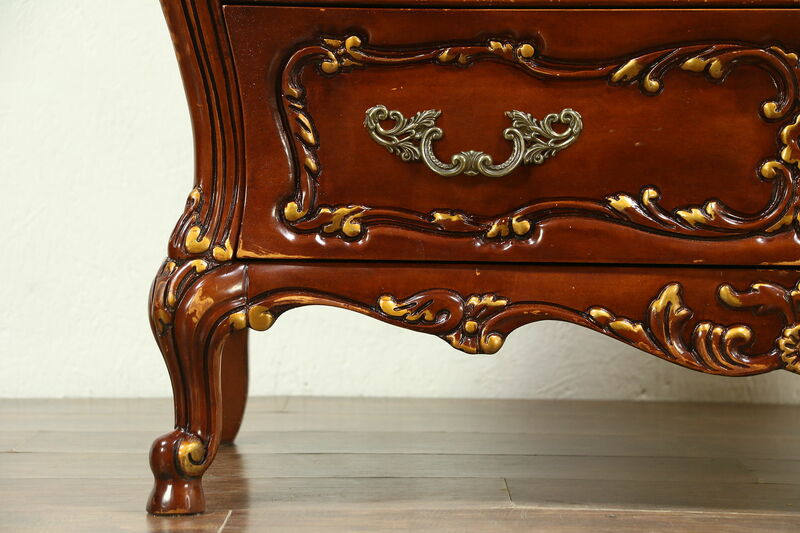 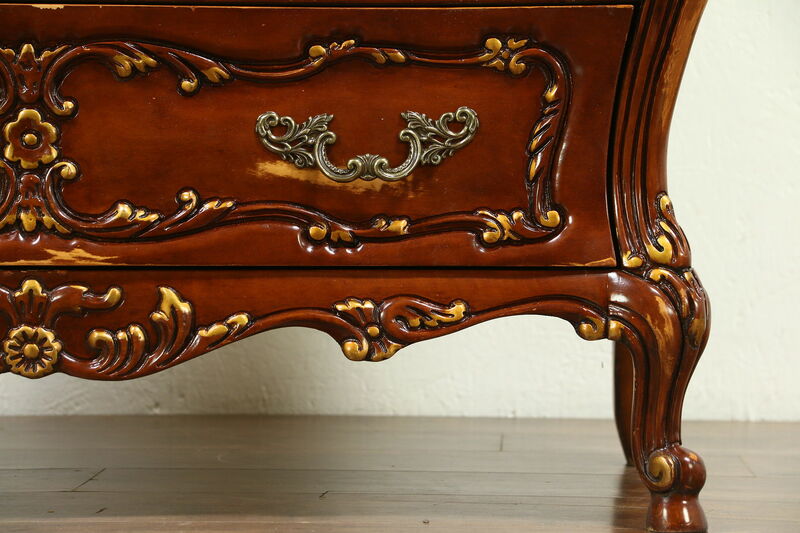 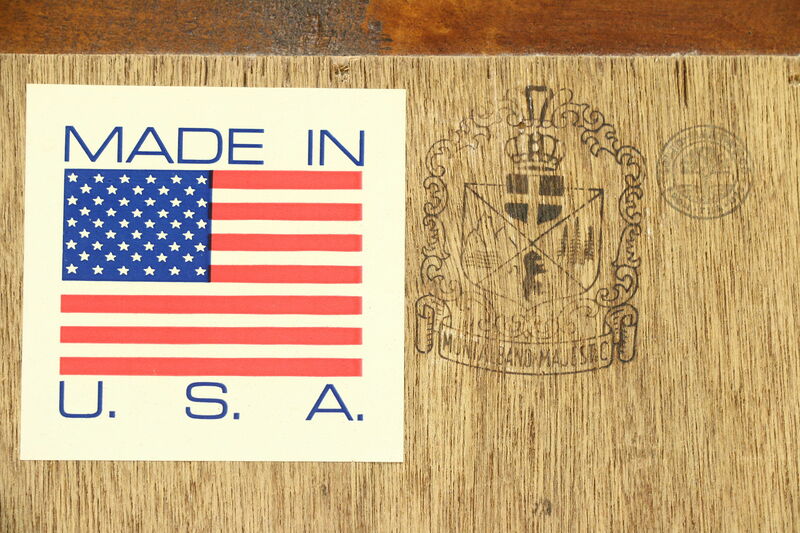 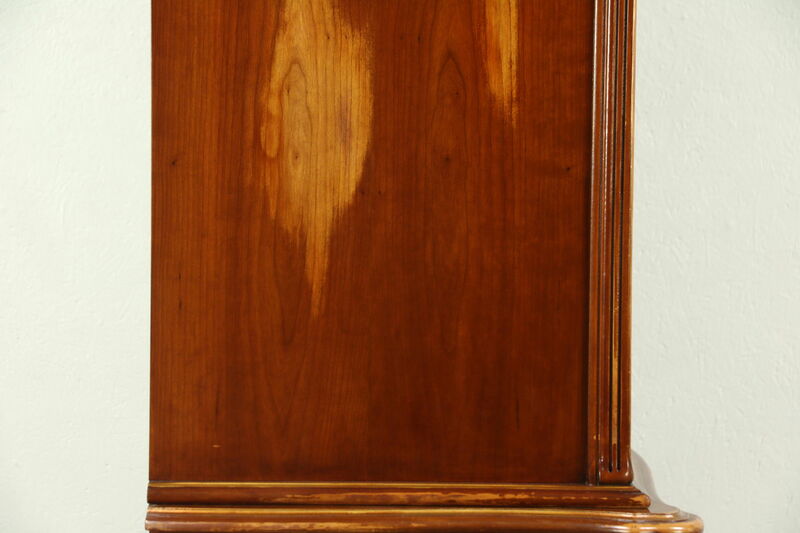 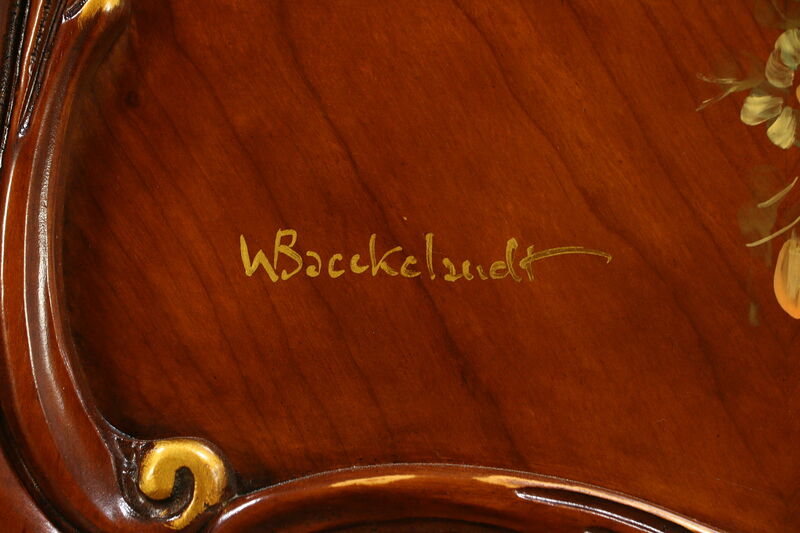 Signature stamps read "Made in USA, Solid Hardwood from the USA, Montalbano Majestic." 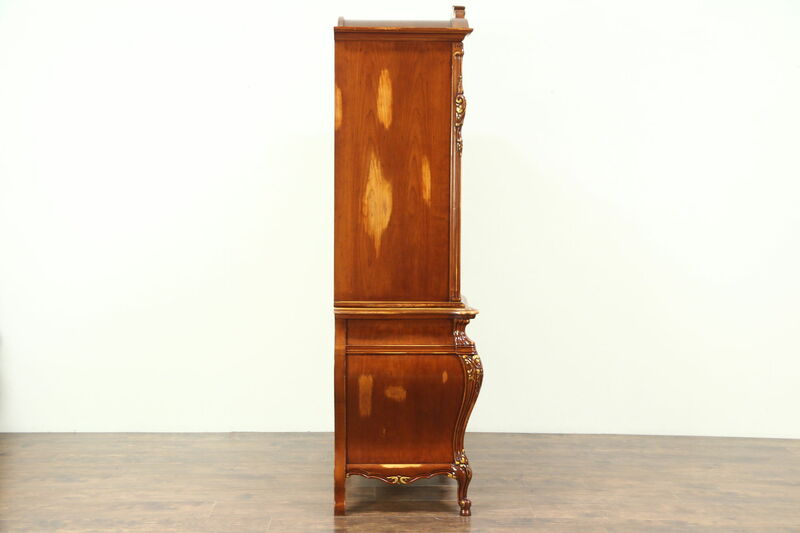 Measurements are 45" wide, 83" tall and 23" deep.